OPEN SOURCE AUTOMATION SERVER which can be used to automate all sorts of task such as Building, testing and deploying Software. Jenkins is a powerful application that allows continuous integration and continuous delivery of projects, regardless of platform you are working on. It is a free source so it an handle any kind of build integration. It has a lot of plugins which make task Easy. It is build in java so it is Portable to all the major plateforms. 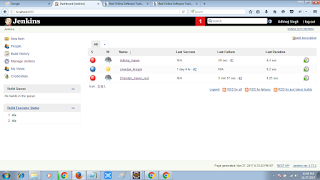 Jenkins is a software that allows continuous integration. 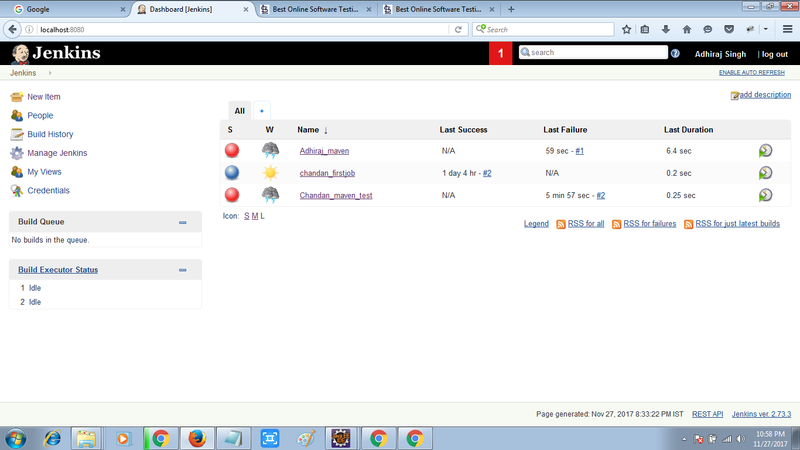 Jenkins will pick the changed source code and trigger a build and run any tests if required. The build output will be available in the jenkins dashboards, automatic notifications can also be sent back to the developer. Continuous Integration is a development practice in which the developers are required to commit changes to the source code in a shared repository several times in a day or with regular interval. After that a job will get triggered by jenkins and create build. This concept was meant to remove the problem of finding later occurrence of issues in the build lifecycle. Continuous Integration is a development practice in which the developers are required to commit changes to the source code in a shared repository several times in a day or with regural interval. )4. : Everyone can see what's happening. )5. : This allow the team to detect the problems early. The entire source code was built and then tested. Developers have to wait for test results. Every commit made in the source code is build and tested. Developers know the best result of every commit made in the source code on the run. 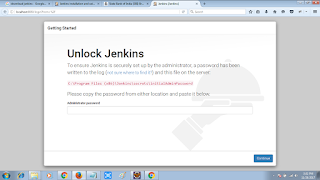 Now download and install the jenkins in your machins task is done. You need to enter the password present in appropriate location. 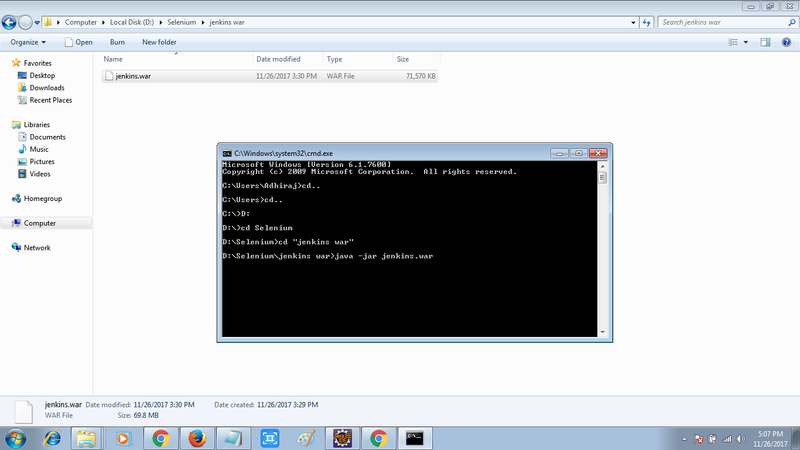 Alternatively you can also install the jenkins in your machine using war file & cmd. 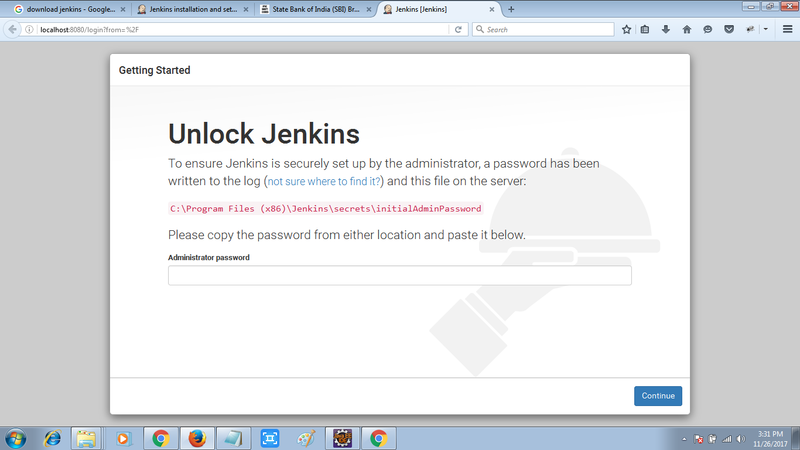 congratulation jenkins is not installed in your machine. 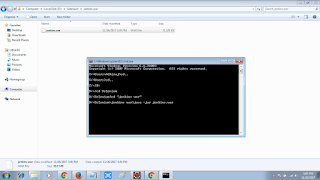 How to Change port number in jenkins? How to restart the Jenkins? Why do we need to change the home directory in jenkins? 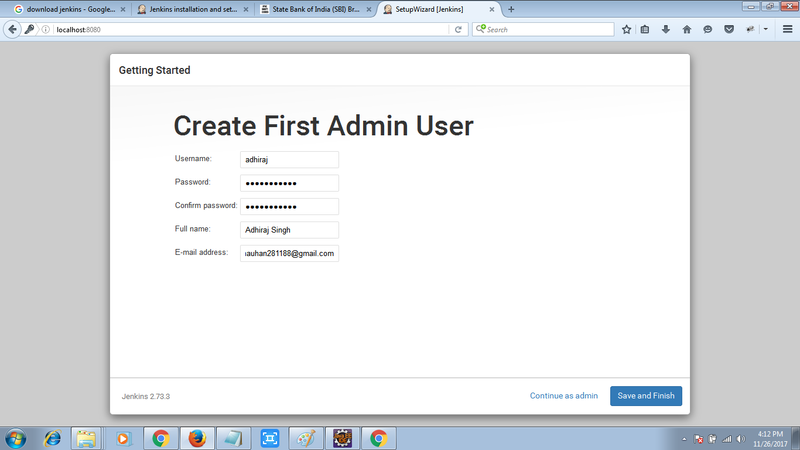 1): Due to less space in user directory. 2): Due to project requirement. 3): Confliction with other app. 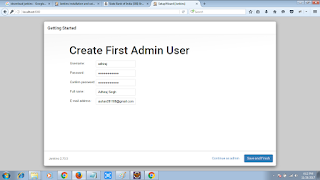 How to change home directory in Jenkins ? 2): Create a new folder, where you want to have the home directory. Now restart your jenkins & check the new directory. Jenkins scheduler watch work on Cron Time Format. What is Cron : a command to an operating system or server for a job that is to be executed at a specified time. Explanation : in above time format 06is for Minute, 22 is for Hour, 15 for date of month,1 for month of year & 1 for day of week. What is use of continuous Integration? I have created multibranch pipeline project.. now I want to deploy it on server. I need the steps to do that..